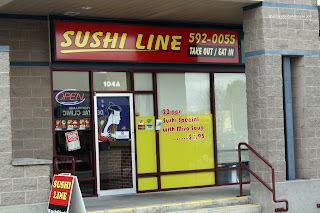 Average, but serviceable sushi... That probably describes most of the Japanese eats in the Lower Mainland. In fact, to some sushi aficionados, average is actually being kind. So for all the Japanese food available to us, only a small percentage is actually authentic and/or prepared properly. However, when one just wants to grab a bite at a reasonable price, there will always be the average Japanese joint nearby. That is what Chill and I settled on for eats one day. 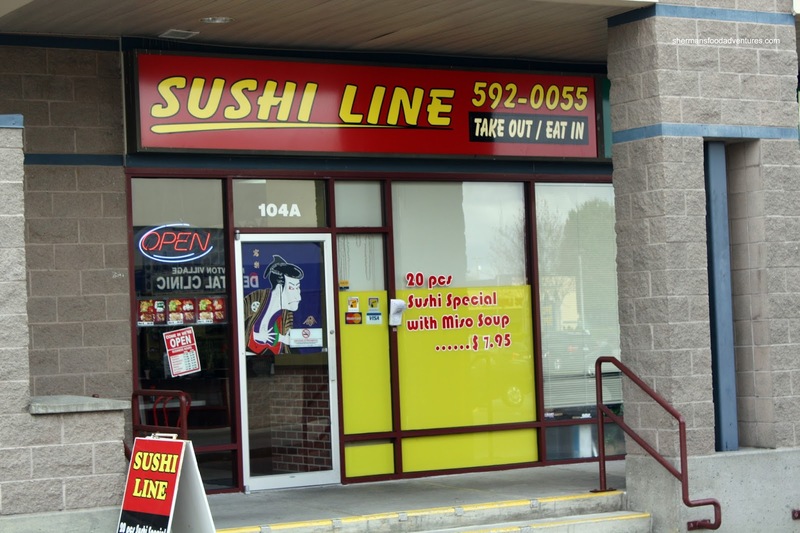 We settled on a place I visited a long time ago - Sushi Line out in Newton. We began with the Assorted Sashimi which was neatly presented. 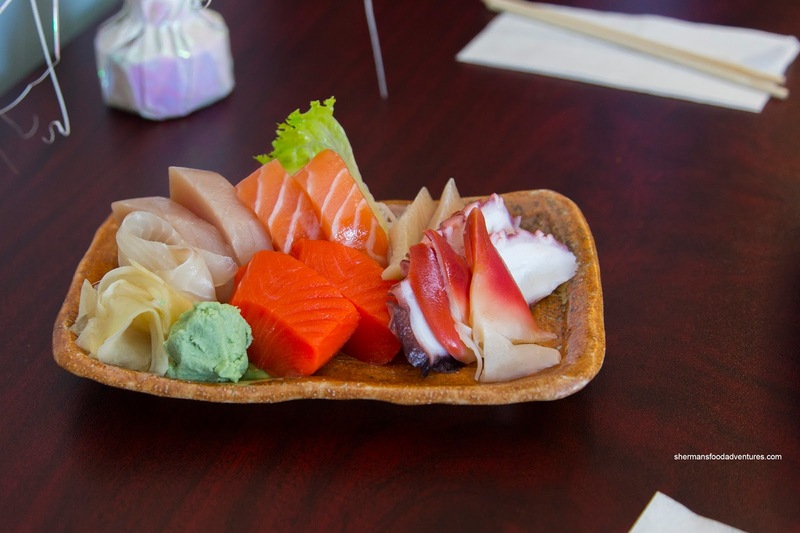 It featured albacore tuna, Atlantic salmon, sockeye salmon, toro, tako, hokkagai and tai. I wasn't particularly impressed with the toro as it was lifeless and hopelessly bland. The rest appeared and tasted decent. The sockeye salmon was probably the best of the bunch being somewhat sweet and exhibiting a nice sheen (the picture was actually from our second visit). After that, we shared 2 specialty rolls including the strangely named Mexican Roll. 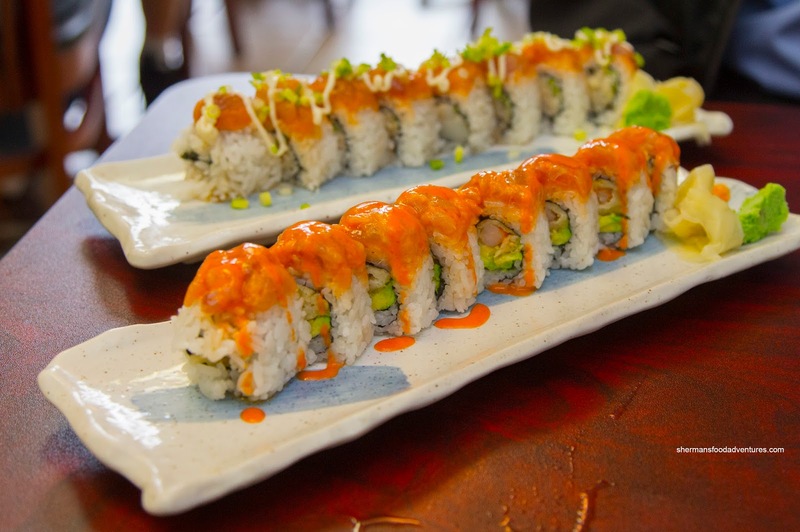 Consisting of avocado, scallop, imitation crab, spicy tuna with mayo and green onion on top. We were perplexed at the Mexican designation because there was nothing Mexican about it. Whatever the case, the crab in the middle was strangely dry which only further exacerbated the issue of the dry sushi rice (which was bland too). 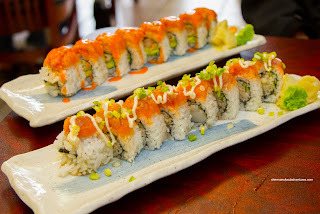 As for the Hot Night Roll, it was slightly better due to the ample topping of spicy tuna. Inside, there was ripe avocado and a slightly mealy shrimp tempura. The soft tuna was indeed spicy and provided some moisture for the dry rice, but the roll was pretty average at best. As mentioned earlier, we made 2 visits, with the second including the Deluxe Combo consisting of a dynamite roll, 2 pieces of salmon and tuna, 2 pieces of toro nigiri and one each of chopped scallop and masago. I wasn't a huge fan of the roll as the rice was dry and overly chewy (and bland like the other rolls). Again, the toro was rather disappointing in appearance and taste, but the other items were okay. 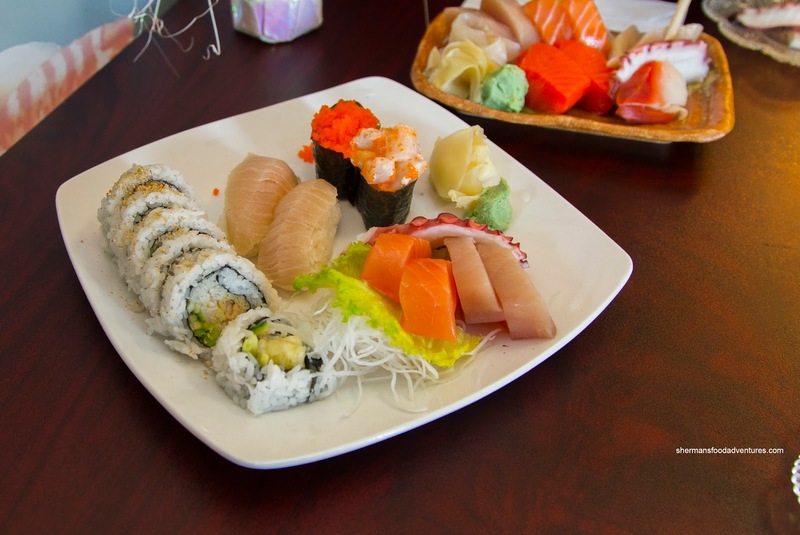 Unfortunately, it appears that the negatives are consistent at Sushi Line, which puts it into the below-average category of Japanese restaurants in my books.